Hello lovelies! 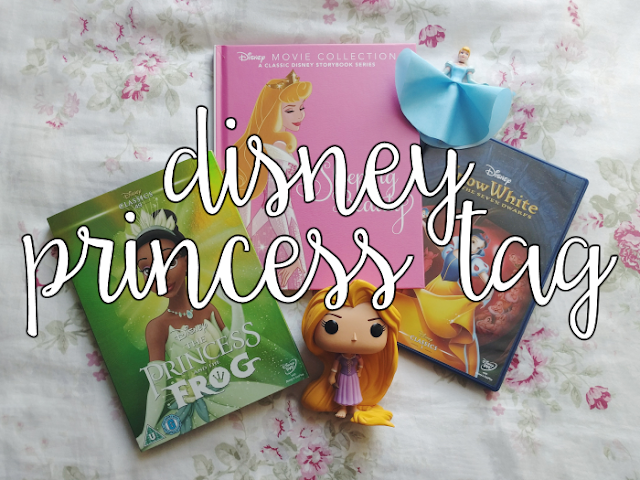 Today I'm going to be doing the Disney Princess tag. 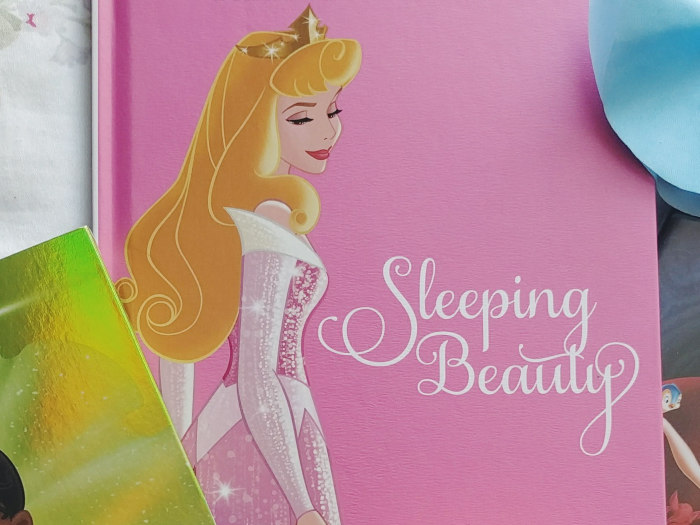 As you may have guessed from my blog/Twitter I could talk anyone's ear off about Disney so being tagged to talk about anything related is always exciting for me! Thanks so much to Jade from Outside the Tower, Kat from Mouse Chick and Shannon from NeverGrowUp for tagging me. You can see their posts on the tag here: Jade, Kat & Shannon. Just a note - because I wasn't really sure which characters I should include in my answers as Princesses (is Mulan a Princess? Is Elsa a Princess or is she a Queen?!) 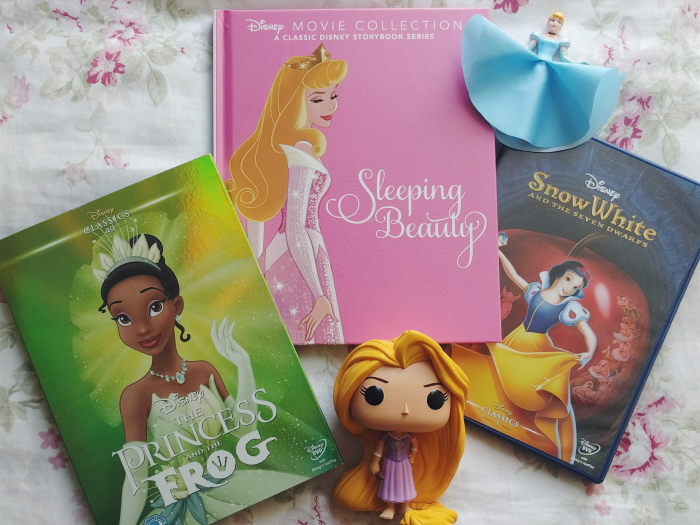 I'm just going to be using the 11 characters that Disney have included in their Disney Princess line-up to keep things simple: Snow White, Cinderella, Aurora, Ariel, Belle, Jasmine, Pocahontas, Mulan, Tiana, Rapunzel and Merida! I know I'm going to make a lot of people angry for this one (sorry!) but it's got to be Ariel. I get annoyed by some of the choices she makes in the film every time I watch it, especially when it comes to her dealings with Ursula! Rapunzel! She's so sweet and funny but also very down to earth. Probably Mulan, especially during the Matchmaker scenes. I'm a bit of a klutz so I'd definitely be writing notes on my wrist and embarrassing myself too! Pascal! I would so carry him around on my shoulder everywhere so he could add his sassiness to my day and look out for me! Definitely Lottie from The Princess and the Frog! She seems like she'd be so funny to hang out with and a really good friend too. If I could choose then it'd definitely be Li Shang - I've had a crush on him since I first saw Mulan when I was very little! If Shang doesn't count then I would have to choose Flynn Rider. That smolder though. I'd have to choose Merida's! Rapunzel's because of it's beautiful location! Plus I'd love to be able to see the lanterns from the water like Rapunzel and Flynn did. Either Rapunzel's dress or Aurora's Briar Rose dress! 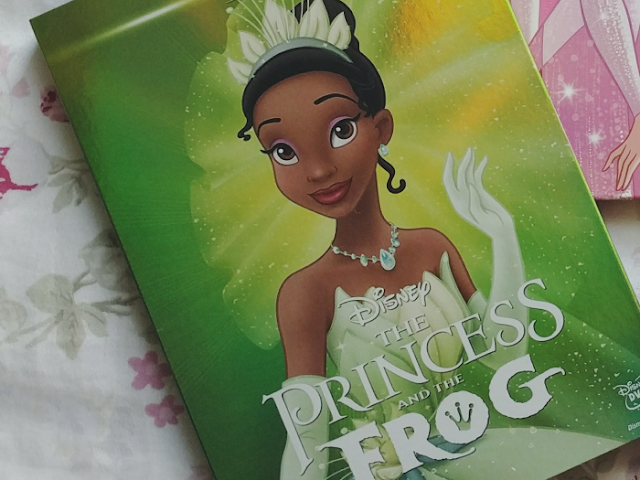 I've got a terrible singing voice so I wouldn't mind any of the Princess's voices - they'd all be a 1000x improvement on my current voice, haha! I feel like Merida and Tiana would get on well as I think they're quite similar personality-wise. I don't think Ariel and Merida would get on because they seem like they're the opposite of each other to me (except the same gorgeous hair colour!). I think Mulan's horse, Khan, and Maximus from Tangled would make a very good duo. They're both quite sassy and cheeky horses so I think they'd make a very mischievous pair together! It's got to be Prince Naveen and Flynn! Can you imagine the trouble they'd get in?! So many, oh my gosh! But one of the worst has got to be the scenes with Merida and her Mum where they're fighting/when her Mum is transformed by the spell. So heartbreaking! When Shang, Yao, Ling and Chien-Po join Mulan in rescuing the Emperor. YOU GO GIRLS! Mulan! I'll Make A Man Out Of You and A Girl Worth Fighting For are two of my all-time favourite Disney songs. Oh gosh, it's got to be that scene in Mulan where she meets the Matchmaker. That makes me cringe from beginning to end! I think I'd have to choose Rapunzel's so I could have Pascal, Flynn and Maximus in my life! I love them all so much but I think it would have to be either Tangled or Mulan. I couldn't choose between those two! I now tag Amy from Cocktails in Teacups! Please also feel free to use me as your tagger for this if you'd like to take part too! I love your love for Mulan! I have always been a huge Mulan fan, but none of my friends ever liked her. I'll make a man out of you is by far my favorite song!